Do you prefer your beaches secluded and remote, with a bit of adventure to reach it? A beach that requires a bit of a journey? 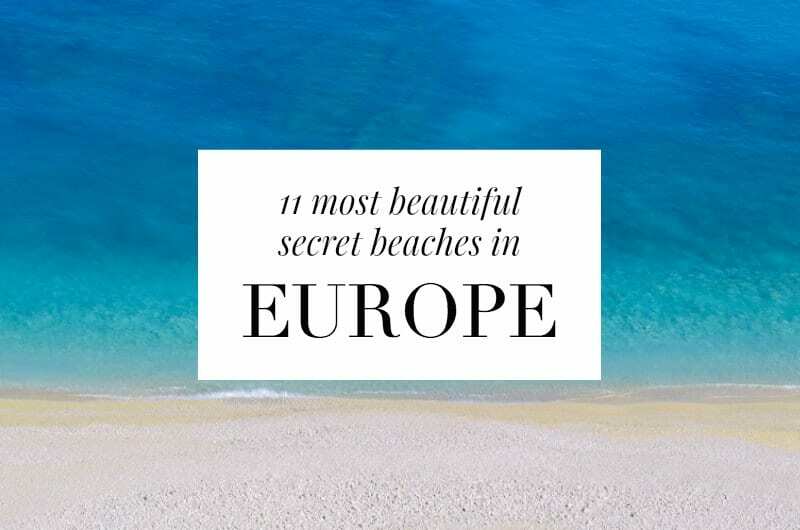 You’ve got to put in the extra mile to make it to these incredible hidden beaches in Europe, but they’ll be worth it. Some of them are best accessed by a hike, some by boat. Some are at the end of a gorge or hidden by vast rocks. They’re not all entirely undiscovered (day trippers have cottoned on to some of them), but they make for an adventurous day out and will reward your effort with their stunning and unusual views. Help keep our beaches clean – leave no trace. 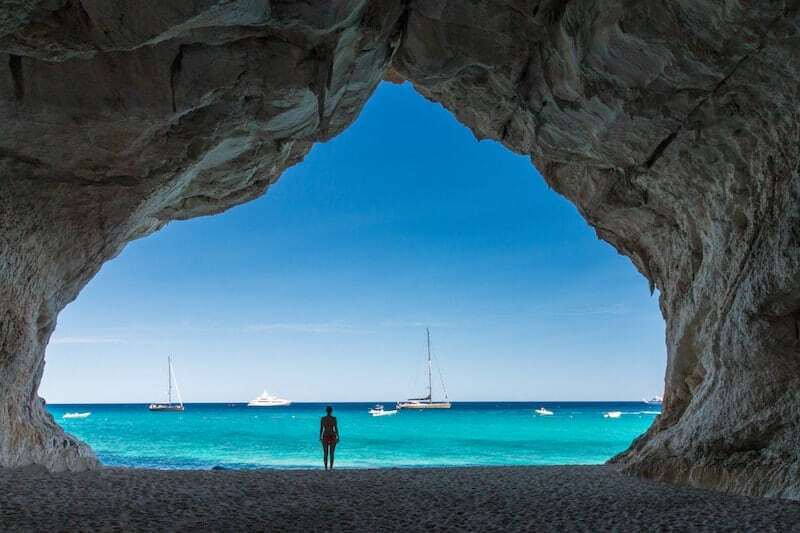 The gorgeous Cala Luna is one of Sardinia’s least accessible but most iconic beaches. For a long time, it was a haven for those with a private speedboat, although it is becoming more popular these days as a boat trip excursion from Cala Gonone or Orosei. 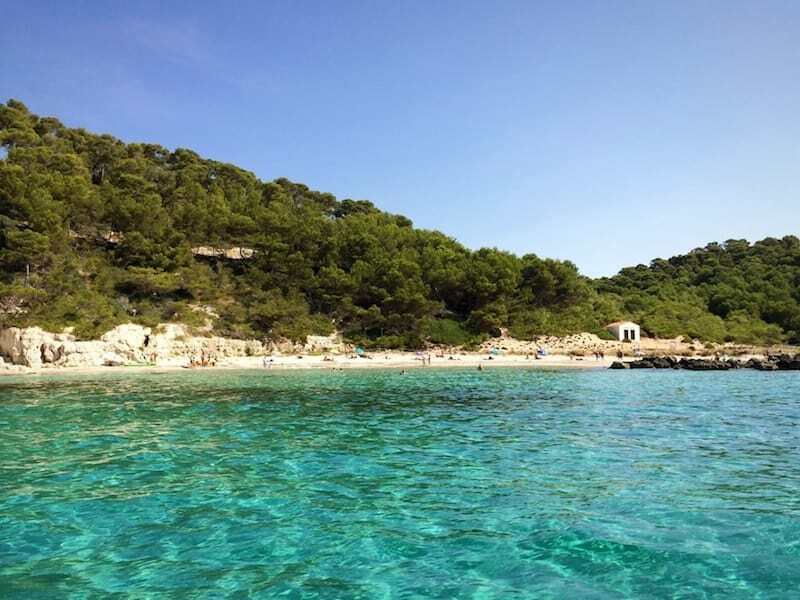 It’s also possible to hike from Cala Fuili – the route is 5km and fairly challenging. But is it any wonder that many make the effort? 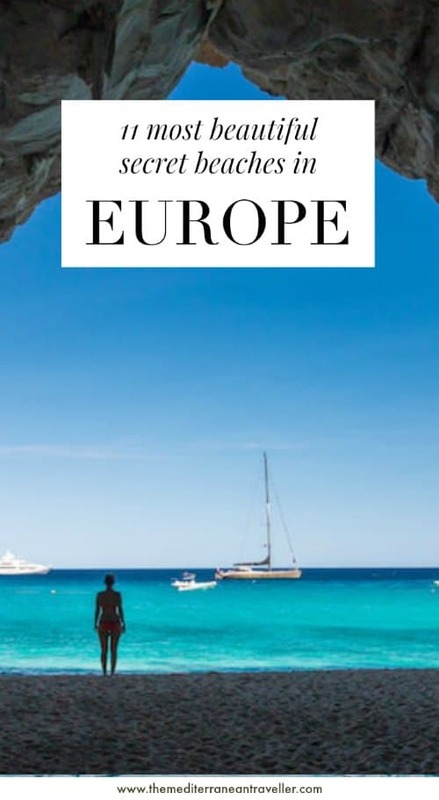 They’re welcomed by a stunningly unspoilt stretch of coast with crystal clear waters and a fascinating cave system in the surrounding mountains. Equally dramatic are the cliffs surrounding Torrent de Pareis beach on Mallorca, at the end of a narrow gorge and near to Sa Calobra village. 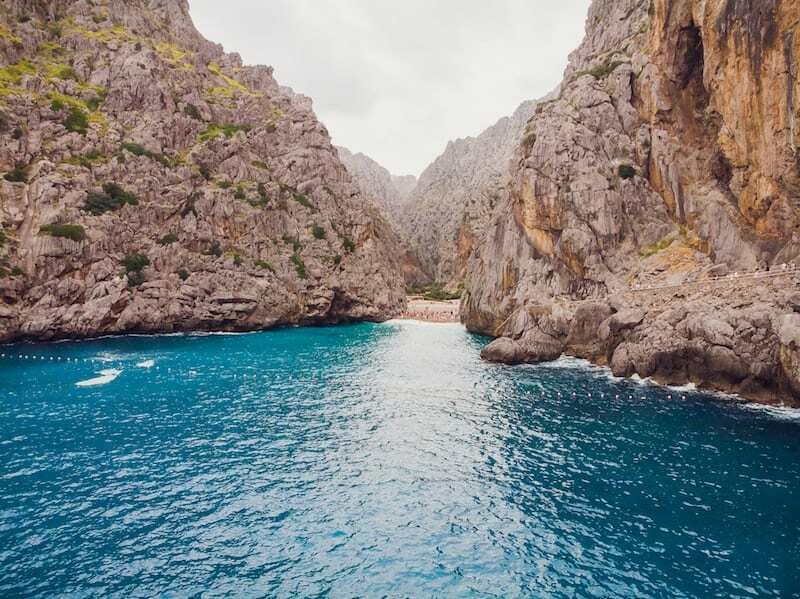 The wild beauty of this area – which is a UNESCO World Heritage site – attracts tourists from around the island, most of whom arrive on a boat trip from nearby Soller and take a long walk through a tunnel to reach this unique beach. The more adventurous can follow the gorge to the sea from further up – best to get in touch with local experts for more info. The area is a top canyoning spot in the summer. 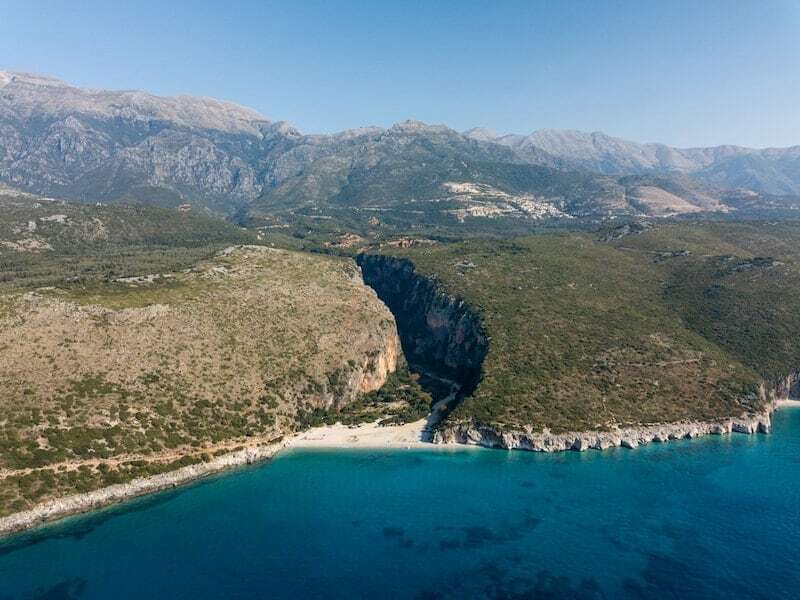 The combination of Instagram and a new road has exploded the popularity of this zigzag beach near Chania on Crete, formerly a remote local secret. The name means ‘ports of Satan’ but the landscape is heavenly. Thankfully it’s still off the radar of daytrippers (at least for now), so you’ll need your own wheels – it’s a 20km drive from the city in the direction of the airport. You’ll need sensible shoes for the trail to reach the beach, and make sure to close any gates behind you. It’s an uphill battle for locals to keep this beach clean in the face of increasing visitor numbers, so why not give them a helping hand and collect any litter that you see in the area. Nugal is one of Croatia’s most beautiful (and secluded) beaches. 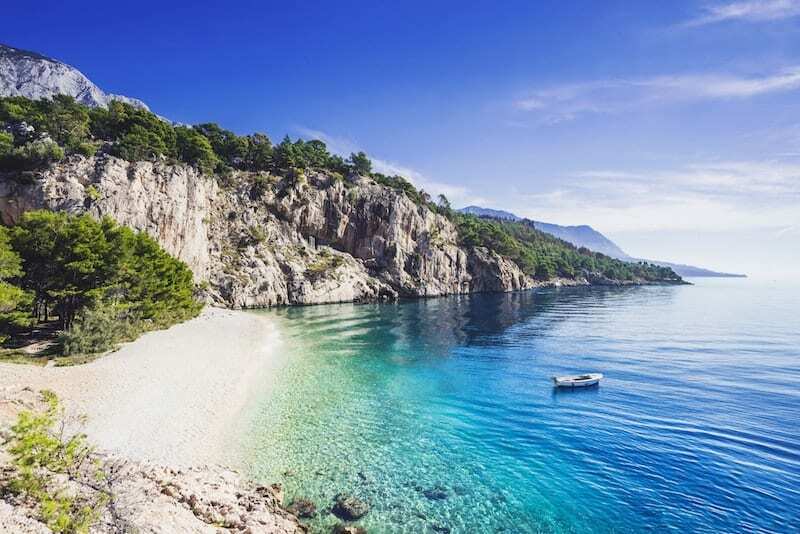 It’s situated on the long stretch of coast known as the Makarska Riviera, in a national park. 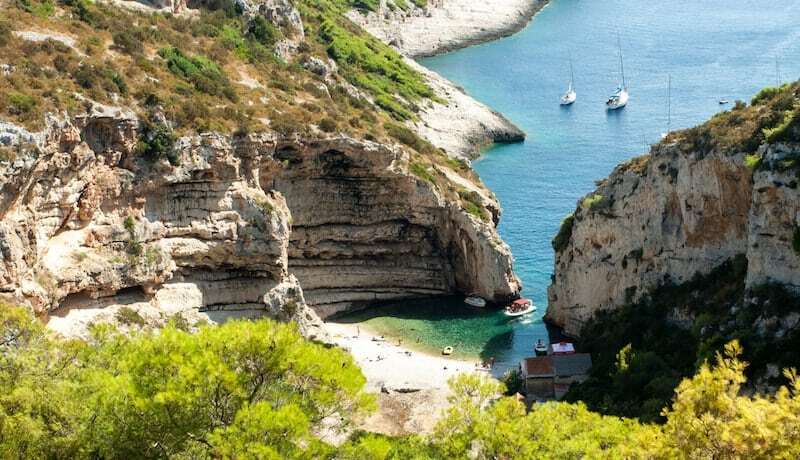 It requires a bit of dedication to reach (a 40-minute hike through dense forest), and it’s mostly naturists who make the effort for the privacy it affords – Nugal is one of Croatia’s top nudist beaches. And what a perfect place to be free? If a proper beach adventure is what you’re after, head to the Albanian Riviera. It’s an up-and-coming beach destination that still has plenty of pockets of undiscovered coastline (but for how long?). And Gjipe is the most stunning of them all. For now, there is no road so you’ll have to hike for 30mins or take a boat or kayak trip from nearby Dhermi or Jale. You’ll find a few parasols and drinks in the high summer but not much else on this remote beauty at the end of a canyon. The Spanish island of Menora is fringed with picturesque coves and delightful turquoise waters, shaded by pine forests. Some of the most popular – such as Cala Mitjana – can get very crowded in summer, despite their lack of car access. To escape the crowds (or some of them, at least), follow the hiking path along the coast from Santo Tomas or Cala Mitjana to Cala Escorxada, where a pristine unorganised bay awaits you. The Croatian island of Vis made headlines recently as a principal filming location for Mamma Mia 2. And one of its main tourist attractions is the impossibly beautiful Stiniva Cove. Take a swim through the famous cliffs that guard the beach – they’re just 4m apart. There’s no shortage of boat trips waiting to whisk you away to Stiniva, but thankfully the cliff gateway keeps larger boats out. Current thinking is that when sea levels were higher, Stiniva was perhaps once a cave whose roof has since collapsed, resulting in the unusual (and magnificent) rock formations. 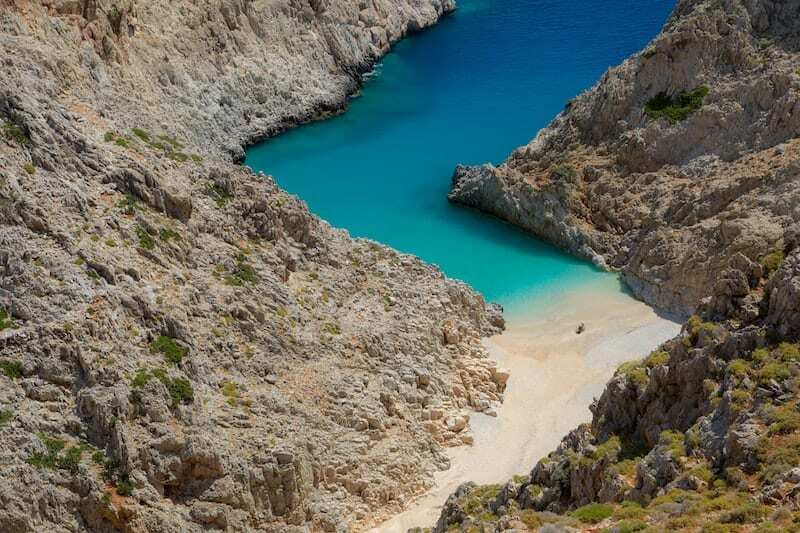 We could dedicate a whole post to Crete’s wild and remote beaches at the end of gorges (and maybe we will). But Glyka Nera – otherwise known as Sweetwater Beach – is one of the most beautiful thanks to its iridescent colours. It’s located in the south-west corner of Crete, where the White Mountains meet the sea. This area is a paradise for hikers. Many visitors come to this area to hike the Samaria Gorge but don’t stick around to discover its other delights. You can reach Sweetwater Beach by water taxi from Chora Sfakion or Loutro, or experienced hikers can take the E4 trail. 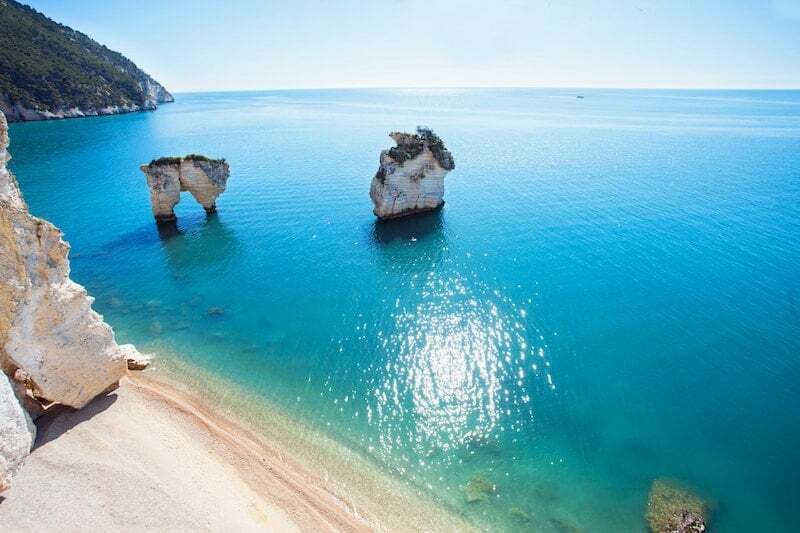 Whilst Sicily and Sardinia get most of the attention for their white sandy beaches, the Gargano region (the ‘spur of the boot’) of Puglia is quietly home to some of Italy’s most dramatic and unspoilt coastal scenery. Here at Zagare, white limestone cliffs and sea stacks punctuate its 1km of soft sand. Access to the beach is controlled by the two hotels on the coast – if you’re not a guest you’ll need to apply in advance for a pass to visit the beach. 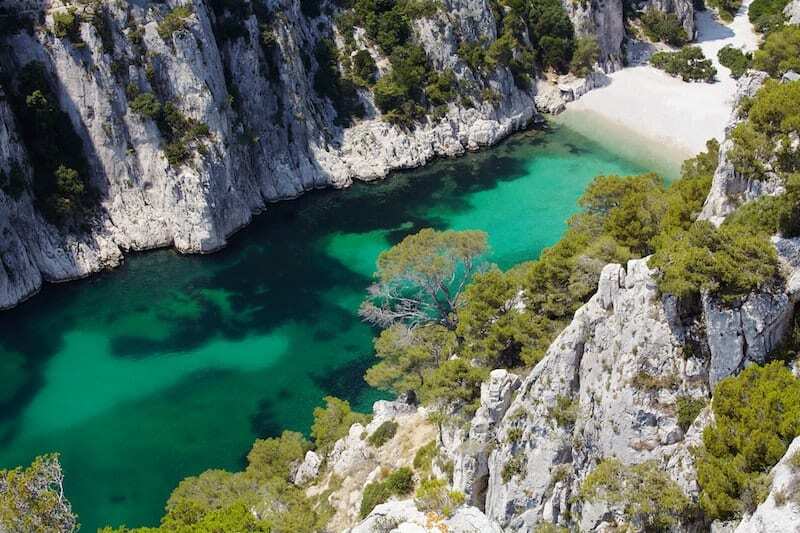 One of the most spectacular beaches in France is at the Calanques En Vau, tucked away between towering limestone rocks of the Massif des Calanques in Provence. The rugged beauty of this area (which is a National Park) attracts plenty of daytrippers and hikers from nearby Marseilles and Cassis. You can access the Calanques (‘rocky inlets’) via the hiking trail from Port Miou or by boat. There is a risk of fire during the summer so check for warnings before heading out. 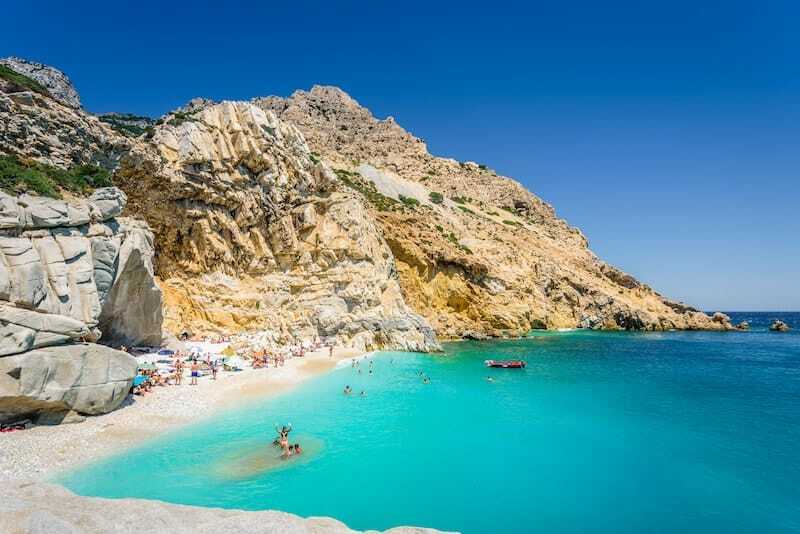 The Greek island of Ikaria in the Aegean is more famous for the longevity of its residents (it’s one of the world’s 6 Blue Zones where inhabitants live to a particularly ripe old age) than its beaches. Lack of sands has kept the masses away, leaving most of the island wild and undeveloped. Seychelles Beach – so named for its exotic waters and big boulders – has only existed for 30 years or so thanks to a landslide in the area. The bright white pebbles of the beach mean incredibly translucent waters for swimming. It’s a short but rough and steep hike to the beach, requiring some scrambling.